Caracas Late Afternoon Dress, Christian Dior, Paris, Libre, Spring-Summer 1957. © Royal Ontario Museum. Photo: Laziz Hamani. For Dior, fashion began with the smallest details and built outwards. Perfume, handbags, shoes and jewellery were not so much scripted features attached to a single production but part of a permutable system. 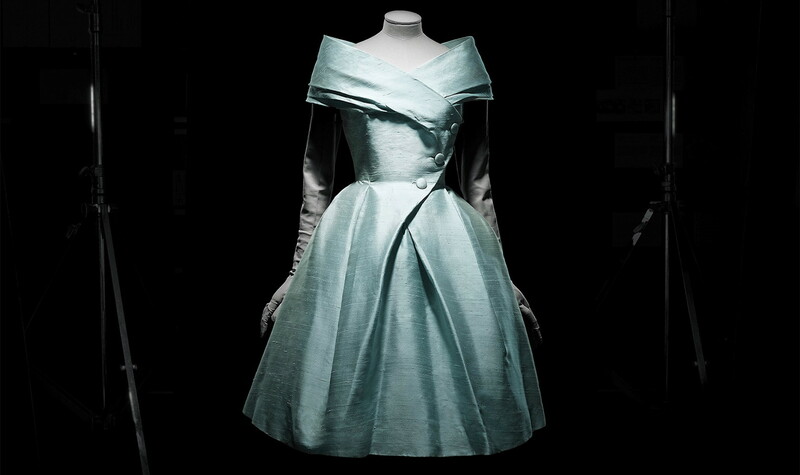 Predominant in this exhibition organized by the Royal Ontario Museum are gowns and daytime apparel from the fi rst 10 years of the House of Dior (1947-57), when the designer was most active. Also on display are supplementary elements that detail Dior’s revival of older dressmaking techniques and their fusion with modern materials, cuts and designs.